Hey guys! Not too much longer before summer hits and A-kon opens up for us. 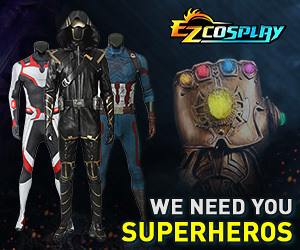 Anyone attending in cosplay? If so, who will you be going as? I'm going! This is my list, I don't have set days yet because it depends on the photoshoots timing. It's the week of A-kon but I'm still running around, not ready. Was really unprepared for this one but it's coming so I will see how everything falls into place. Cosplay for this convention is still....in limbo.